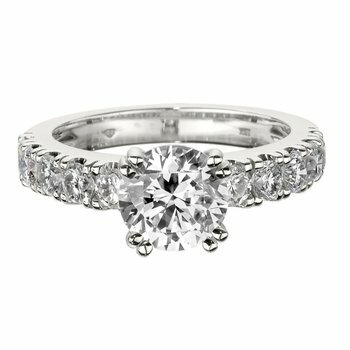 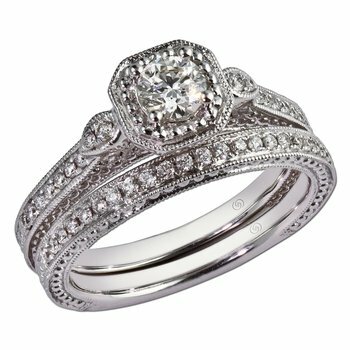 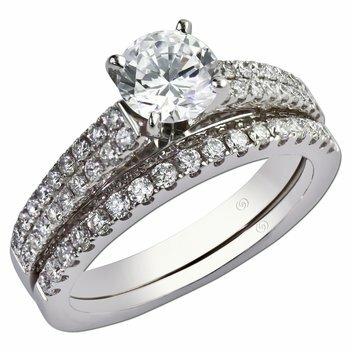 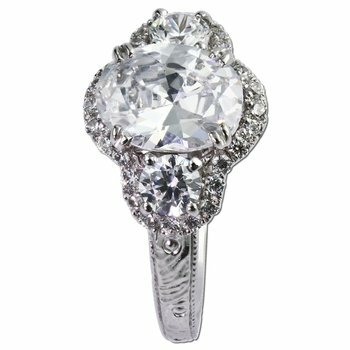 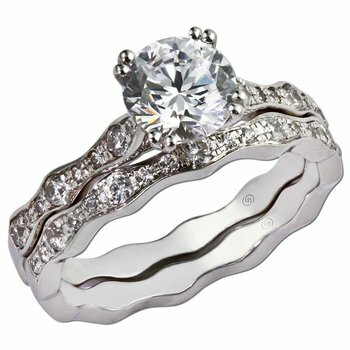 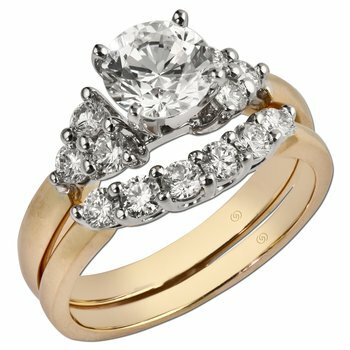 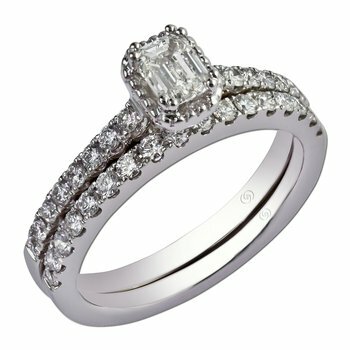 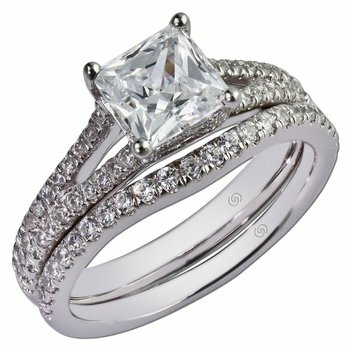 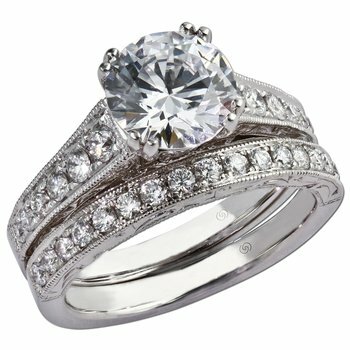 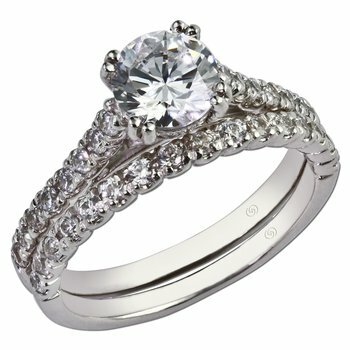 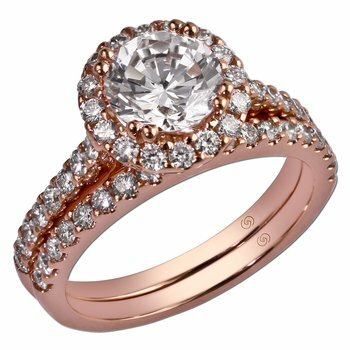 Just Beginning diamond engagement ring is beautiful with prong set diamonds beginning far down the shank, graduating from large to smaller, as they climb up the cathedral shoulders, meeting a sparkling .31 carat round diamond. 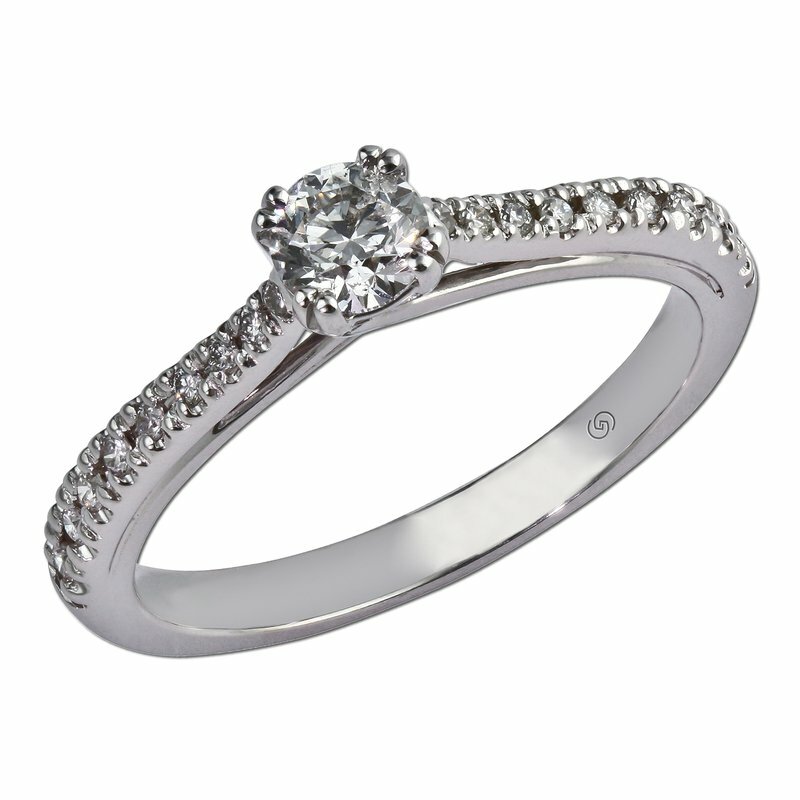 The gallery intertwines at the base of the head, adding a special romantic touch. 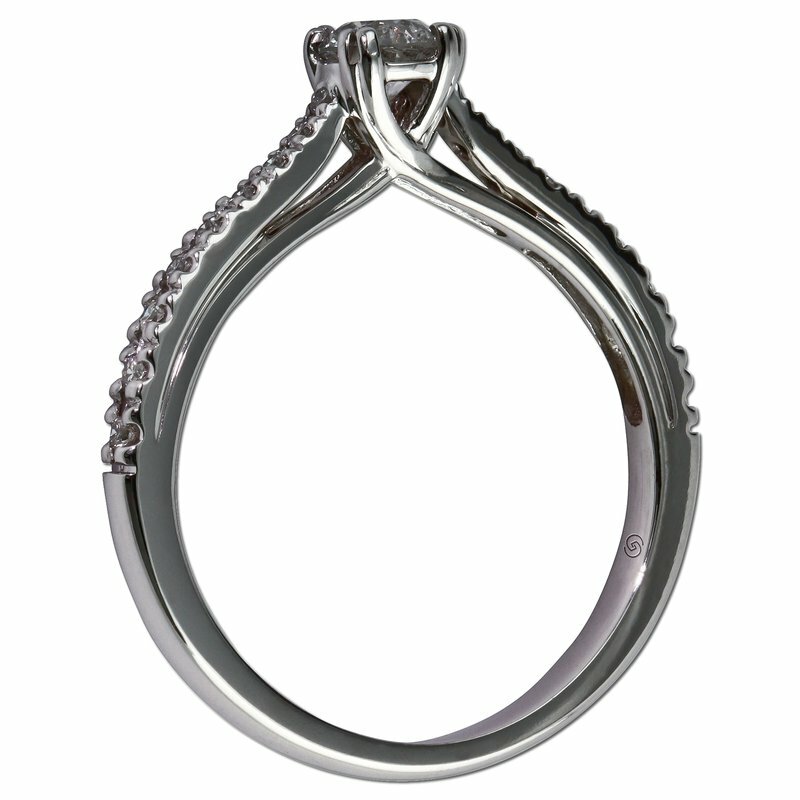 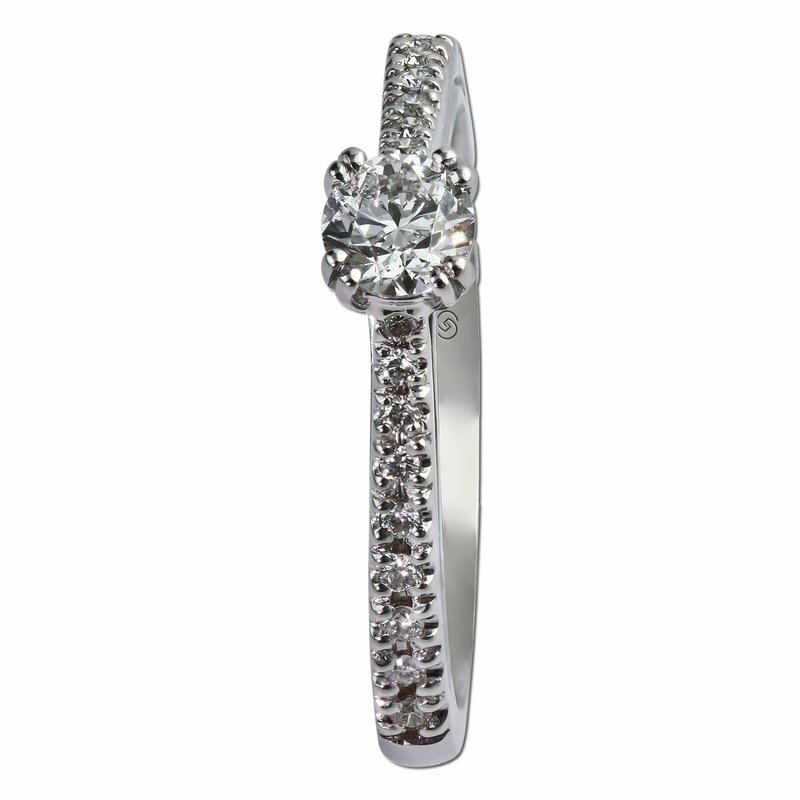 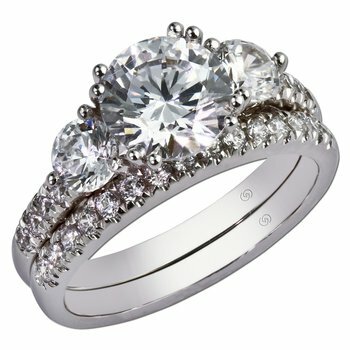 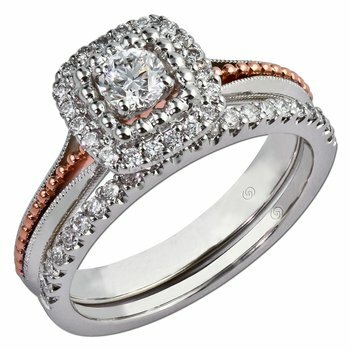 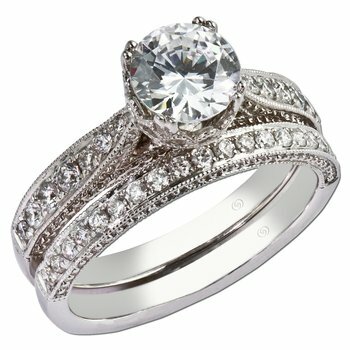 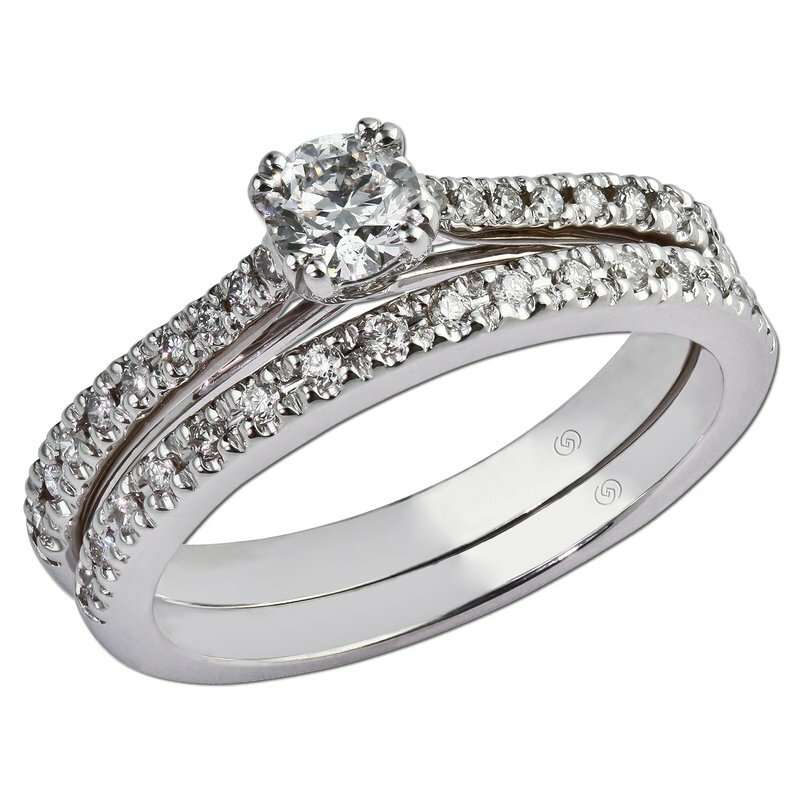 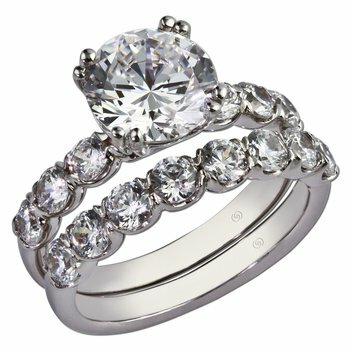 The wedding band dazzles with prong set diamonds, halfway around, lining up perfectly with the engagement ring.